The first anniversary of the forest fires, which affected many people in Northern areas of Tenerife, has been chosen as the time for the affected people to vent their anger at the lack of aid received. The authorities promised that compensation would be paid immediately to hundreds of people, particularly farmers who lost land in the fires that broke out on 30 July 2007. 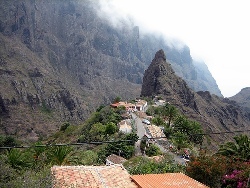 Residents of Los Realejos and Masca say that little help has been received in helping to clear potentially hazardous scrub to prevent a the blazes of last year happening again. The accusations have been rejected by the island authorities, who insist that applications for assistance have been processed in full except for a small number of claims.